With Spring just around the corner, the idea of a romantic refresh of your bedrooms sounds like the perfect way to set the mood for a fresh new season. And what better way to do it than to incorporate the newly-trending colour pink? 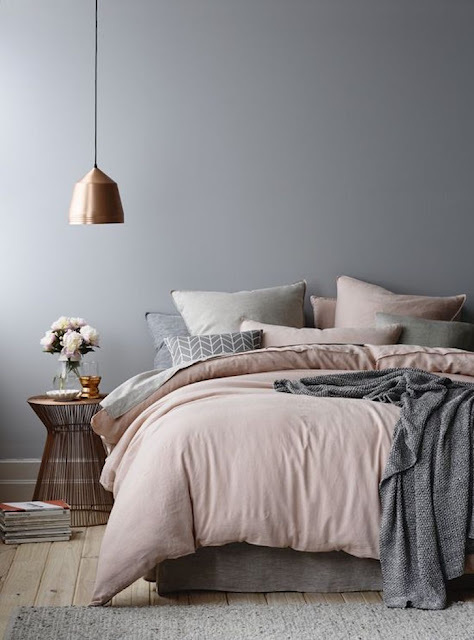 This trendy and modern hue can actually be gender neutral (like every colour) and extremely versatile in its shades and tones. Let's get this straight - pink is both sophisticated and elegant. And assuming you haven't been living under a rock, you'll know this soft pastel is having a majorrrrr moment on the Gram. 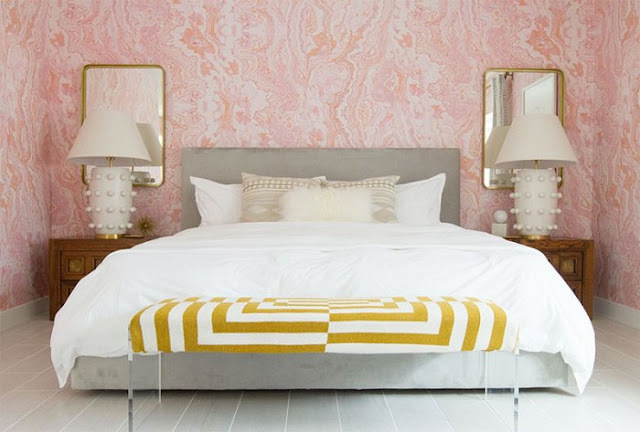 Usually paired with white and gold, I'll share how to decorate your home with minimal pink for the new season ahead. Of course, you don't need to have your room covered in head-to-toe pink. It's such a dynamic colour, that it's also fun to use as an accent whether it it's your pillows, rugs, throws or even in a headboard. The perfect way to add a little bit of texture, pattern and interest to your bedroom is to source a pink wallpaper. This creates an impactful accent wall, or go for a removable wallpaper as an alternative too paint in your rental. Ooh la la. Nothing screams Spring 2018 like a pink neon sign in your favourite quote. 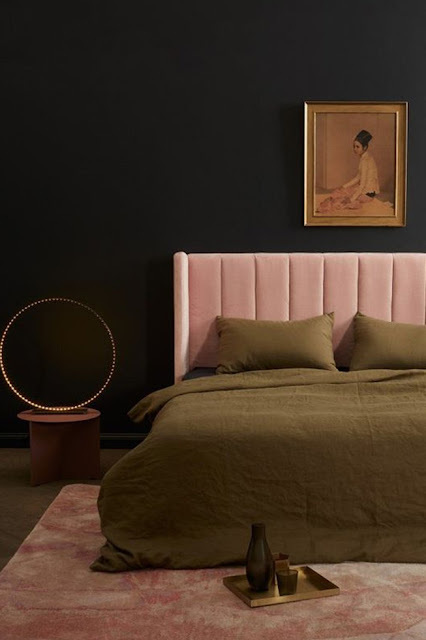 This is the easiest and most fun way to introduce ANY dramatic touch of colour (let alone pink) in your bedroom without having to change a thing. Pink is a colour that looks beautiful when contrasted with darker tones. I love mixing pink with soft greys, deep navy's and even sultry shades of black. The contrast is not only beautiful, but allows the space to become gender neutral and much more inviting. Pops of pink - trust me, they're a good idea. As pink has become more popular in the design industry, we are now exposed to sooo many more shades of pink than we ever thought possible. 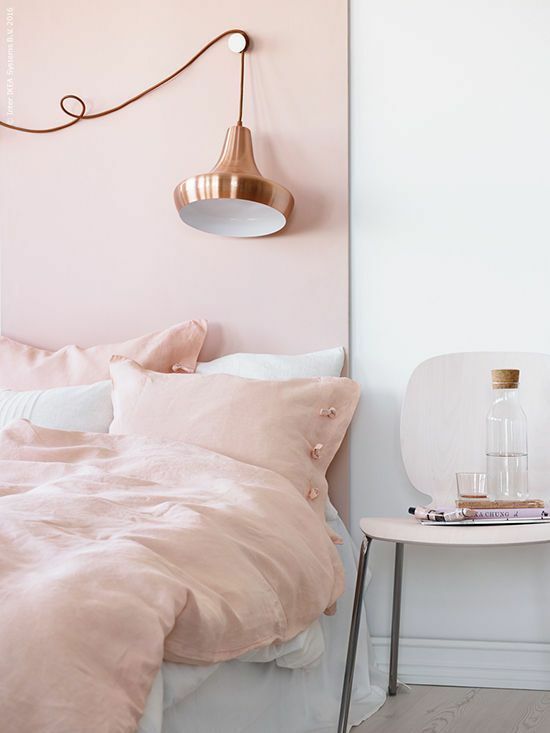 From pinks that are so light they feel almost neutral, to pinks with deep jewel-like undertones, it has never felt easier to pick a pink that's relevant to your space. 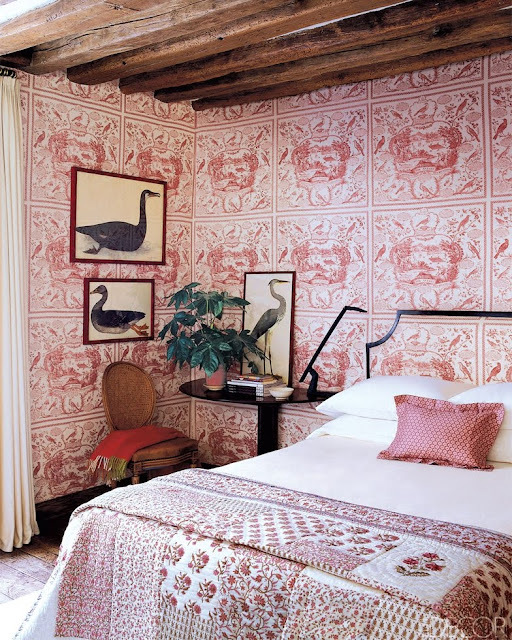 To create an elegant bedroom - pick one shade of pink and stick with it. Take an incredibly soft and pale blush shade and use this tone in the furniture, paint colour and window accessories. Using this one shade, means that through other 'accessory' shades like whites and creams, the space can become truly relaxing. Just add some greenery and you're good. Are you lovin the pink look? Me too - who doesn't love pink? Lovely post! I always wanted a pink bedroom, now you've given me so many ideas about having one. Thumbs up for this post!